Conferences will be held on Friday April 12th. Please sign up at the front desk. Note: Growing Tree will be closed to children this day. 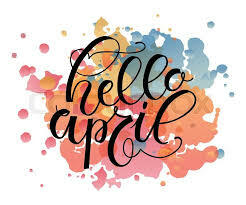 Click here to view April events. It seems like every year we have a large construction project. Well this year is no different. We will be replacing the playstructures and groundcover on the playground . We hope to have this project done by the end of June. I will be looking for volunteers to take down the current structures, trucks to haul it away, adding sand to sand boxes and I'm sure their is something I haven't thought of too! What a great way to complete your volunteer hours. Thank you James Traynor for guiding me to the right people to complete this process. Summer is right around the corner so its time to send the snow suits home and replace them with a new bottle of sunscreen. We recommend that you bring in a new bottle of sunscreen. Old bottles do not protect as well. Sunscreen will be applied twice daily. In the morning before going outside and again after nap before heading outside. Sunscreen is considered a medication so we will need you to sign a sunscreen medication slip prior to using sunscreen. These slips are available in the classroom. Please ask a teacher. Regulations state that sunscreen must be labeled with child's first and last name and must be used for only that child. Licensing prohibits us from using any aerosol sunscreen products on children. We also recommend that your child has a hat at school at all times. May 6-10th is Teacher Apprciation Week! We will be celebrating our amazing Growing Tree Teachers all week long with some special surprises. Please watch for an email this month with the details for the week. Did you know you can find the dates and locations for all of the Growing Tree special events under the SCHEDULE tab on our website? Volunteer hours are not pro-rated in the event you withdraw from the Center prior to December 31st. First Friday will be held on Friday, March 1st Cost is $25 per child. Next month First Friday will be on April 5th. New process, we are asking that you pay when signing up as we now have limited slots. Just a reminder, if you cancel after signing up, you will still be responsible for First Friday fees.